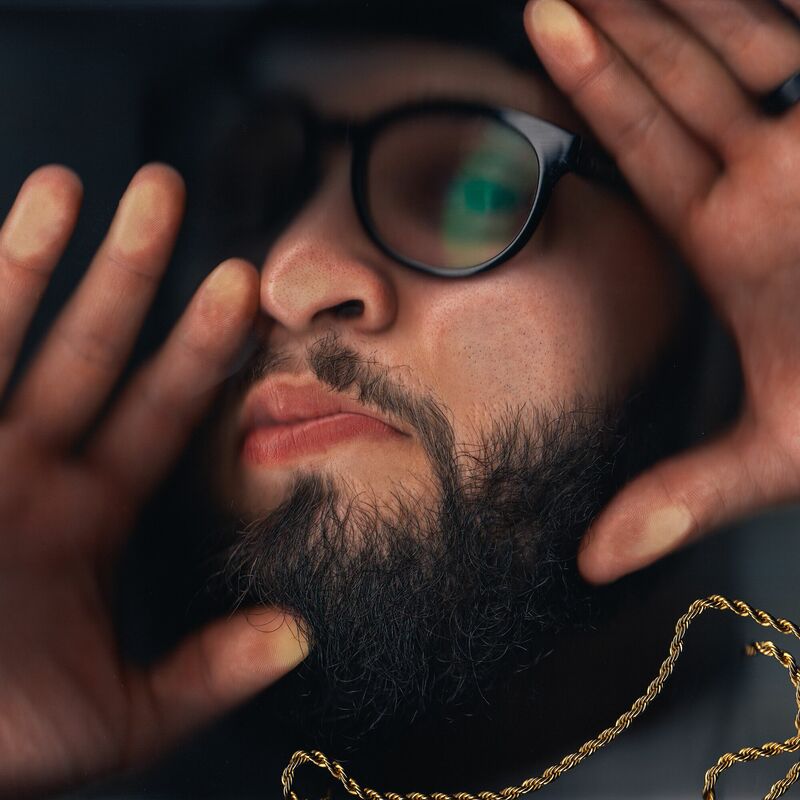 After dropping breakthrough debut album Heroes For Sale in 2013, and the outstanding Never Land EP last year, Reach Records artist Andy Mineo returns with Uncomfortable. The title is quite fitting for the record, not only in describing lyrical content, but also the musical depth that Mineo dives into. Mineo is bravely stretching himself here, producing a result unlike any other hip-hop album in recent memory, and departing from the aggressive and humorous party anthems Mineo has become known for. Despite the mostly new direction, Uncomfortable is a fine work of art, carefully crafted by Mineo and executive produced by !llmind, who has worked with Drake and 50 Cent. This album has the right to sit on a shelf with these artist, and the best hip-hop artists out there. The album opens with the title track, fitted out with a hypnotic beat and confronting content: raising the issues of just how comfortable this generation has become, where around the world people die, and our biggest concern is access to Wi-Fi. Mineo is looking to challenge from the get-go. Uptown is a slow jam love letter to Mineo’s favourite place in the world, Uptown NYC. The jazzy soundtrack and fast-flying rhymes take us on a tour of the place, and Mineo’s joy is infectious. For me, the placing of the track straight after the issues of Uncomfortable didn’t seem to flow, but this is an album of uncomfortable surprises – read: the Spanish outro. The following two tracks continue to surprise. Now I Know is all about believing lies, and the experience of life lessons. It’s injected with Mineo’s humour, as well as this slinky, funky, vocoder-infused sound that Stevie Wonder would be proud of. The refrain is that ‘All that glitters ain’t made of gold,’ and the sound evolves into the biggest jam of the record. And then we’re hit with Desperados ft. Mali Music. It’s a punchy, bouncy hip-hop track soaked in a western edge. As in, cowboys in the wild wild west kinda western. Mineo furiously spits cadences over electric guitar licks and a hip-shaking beat, talking about being a light in the 116 clique. Again, the song is crafted to build into a layered jam. Hear My Heart is a musical apology from Andy to his deaf sister Grace, and a lament that he didn’t learn to sign. It’s a personal note that oozes soul. The track leads into a short piece named David’s Roof, a saxophone-fuelled Spanish interlude – that again, shows Andy unwilling to produce predictable, comfortable music. Rat Race ft. Jon Bellion bounces along with live instrumentation. Andy boldly states that he’s not in the game to make a name for himself: ‘We’re OK with last place.’ Considering the boasting that is prominent in the hip-hop scene, this is a revolutionary statement – and I hope that Andy keeps standing firm as this album finds success, as no doubt it will. Uncomfortable is a triumph for Mineo. He’s taken time to craft an album that sounds fresh, and that doesn’t (pardon the pun) comfortably fit into any real genre. It’s not specifically a hip-hop album, but rather a musical exploration to different times and places – and there’s a real New York influence underneath the whole thing. It’s full of live instruments and despite being intricately arranged, it never feels over produced. It’s also worth noting that Mineo features no fellow Reach artists on this album, which is yet another risk. But every risk on Uncomfortable pays off. Andy Mineo’s Uncomfortable is one of the standout albums of the year, and most of all shows off Mineo’s growth in maturity of both skill and faith. Buy this album and get lost in the sound, and be aware that it’s an acquired taste. I’m giving it a full five stars. Uncomfortable by Andy Mineo will be released Friday 18th September, and can be pre-ordered here. Hear Sam chat with Andy Mineo about the album on Thursday, 17th September at 8pm AEST on Sydney’s Hope 103.2, or online. Posted in MusicTagged Album Review, Andy Mineo, Reach Records, UncomfortableBookmark the permalink.